The Giant-Alpecin team is off to a great start with Marcel Kittel winning the first race of the year. 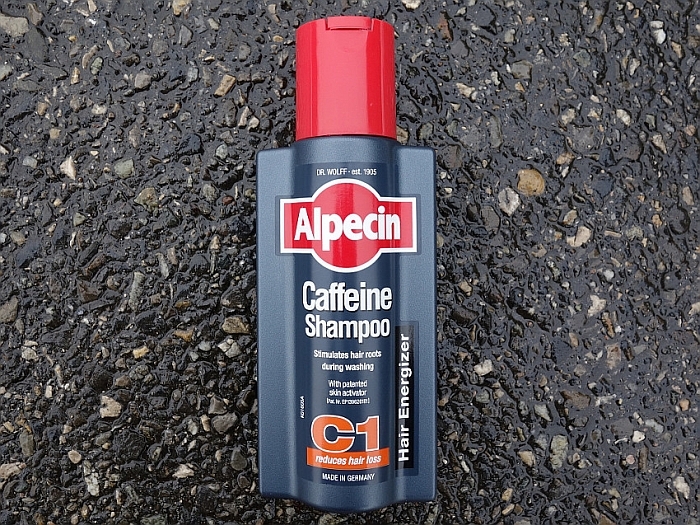 New for 2015 is sponsor Alpecin, a brand of shampoo from Germany. It’s got caffeine inside, the idea is it will stimulate the roots of your hair. Does it work? Dr. August Wolff started out making pharmaceuticals in 1905 and Alpecin appeared in 1930, designed to help combat dandruff. Today over two million bottles are sold a year in Germany and the company is launching its product around the world and the cycling team is part of the marketing effort. It’s got caffeine inside. Does it allow you to shorten the morning routine by combining your shower with an espresso? Luckily not as the stimulant is absorbed into the hair follicles rather than going direct to gut or bloodstream plus the caffeine content is smaller, about one fifth of a cup of coffee per rinse. There is a label on back warning athletes “Alpecin Caffeine can be detected in hair follicles” but don’t get yourself in a lather as caffeine’s no longer WADA’s banned list. Cheapskates beware because the Alpecin website advises that massaging coffee grounds into your head won’t help stimulate the roots much. The shampoo has a galenic formulation to help transfer the active ingredient to the roots of the air. Some can get a headache from caffeine but having tried it there was no immediate effect. If this was a TV an actress would appear, dressed in a white lab coat, to accompany fast-moving on-screen charts showing good things happening. But you’ll have to make do with plain text. Like most shampoos, Alpecin has the usual cleansers and surfactants and contains more parabens than a Portuguese awards ceremony. Tthe big deal is the caffeine ingredient. The idea is lab tests on in vitro hair roots demonstrate caffeine provides protection against the hormone testosterone, a possible cause of hair loss – ask many a balding pro cyclist from the 1990s. These lab tests are suggestions and not the stuff of three phase clinical trials so it’s possible but not proven. Perhaps if you’re losing your hair you’ll try anything. But it did make me worry, you’re supposed to let the caffeine soak in for two minutes but be sure to rinse your hands while waiting and keep the suds off your neck otherwise you might end up looking like Laurent Brochard. A lot easier than riding up the Zoncolan or parsing the accounts of Team Sky. A missed airport connection the other day resulted in vouchers to buy toiletries at the airport and a purchase duly followed. The red and gunmetal blue lend a masculine feel and the bottle has a solid feel. There’s a spout rather than a screwtop. The shampoo is perfumed but not too strong. It lathers up in no time, only a small amount is needed to get it frothing like a cappuccino. Despite the caffeine content there’s no post-shower buzz, it’s not embrocation for your head. The caffeine is the unique selling point but there’s no noticeable buzz. Does it work? Yes, it’ll wash your hair but anything more isn’t certain and it won’t replace an espresso in the morning either. If it doesn’t make your hair spout, purchasing a bottle will stimulate the sport of cycling. Now that is really suffering for your sport, going the last kilometre. As usual, very readable. What a surprise to find something so not-serious here! Haha, this cycling-related review made my day! 🙂 Thanks. Good stuff. I am now going to see if I can replace my hair dye with coffee grounds followed by a lemon juice bleach for the streaks. A couple of crushed beetles should add a bit of red and squid ink for blue, and I will stand out for the cameras, by the finish line of the TDU 2016! Yes, I hope to test some of Orica’s explosives next and if I survive, reviewing what it’s like to own some IAM Funds would be ideal. If you’re planning to test some Orcia explosives you might want to first get yourself some protective Lampre steel. However, don’t bother with the teams that are sponsored by bike manufacturers. That’s what Bicycling magazine is for. In summary, Alpecin shampoo is laterally stiff, yet vertically compliant. I should have used a version of this to describe the bottle given it is strong but squeezable. Turns out I’ve had some Quick Step flooring installed in my home – in my attic conversion. It was budget flooring but reasonably good quality suitable for the purpose. I am however way beyond the need to put caffeine in my hair. Supplements of many varieties with dubious claims are pretty common as sponsors of cyclists (and other athletes and teams). Ergogenic effect of such is typically inversely proportional to the marketing budget. A bit ‘flaky’ read, but very stimulating… When will the Starbucks version be out in the States, I wonder. But the real question, is the caffeine organic and from coffee beans that have been harvested ethically with no harm to the trees, being only those beans that have fallen to the ground naturally? And can you use this as hair coloring, to hide the grey? First blood doping, now hair doping. The old East Germany was probably on to this ages ago. A doff of toupee monsieur! It’s nice and refreshing to see some lighthearted side of you Mr.Ring! Obviously the last 24 hours was a travel day for you. If you want treatments for hair loss that *do* have actual clinical trials behind them, this article by a doctor discusses two drug treatments, both of which have been proven to be effective in many but not all people going bald. It’s “phase III trials” not 3 phase trials. Otherwise – thanks for always informative and well written posts. Thanks, good point. I suppose I was thinking they do all three phases of the rather than just the last one. Hahaha, wonderful read, loved it! So this explains Kittel’s superb hairstyling. Can’t wait for him to do the TV ad. Love it. Next up – how about a Pepsi challenge with some Tabriz Petrochemicals? Or giving Skydive Dubai a whirl? The bottle looks more like car wash n wax than hair product. Is there a contractual link between Alpecin’s sponsorship and Kittel’s hairstyle? In other words, would Alpecin ever sponsor a team lead by Chris Horner? If alpecin could resurrect Chris Horner’s hair as spectacularly as he resurrected his career on the Angliru, they really would be onto something. Although there would certainly be demands for him to publish his data to make it believable! Alpecin is packaged almost like a power gel. And with the caffeine content, popping one down on a ride might not taste all that bad! Which hallowed bit of tarmac is pictured? Stelvio? Alpe d’huez? M25? This review, and the ensuing comments, have literally made my week. High comedy indeed, a visit to the lighter side is a fantastic idea! Im bald , might the caffeine stimulate some growth? 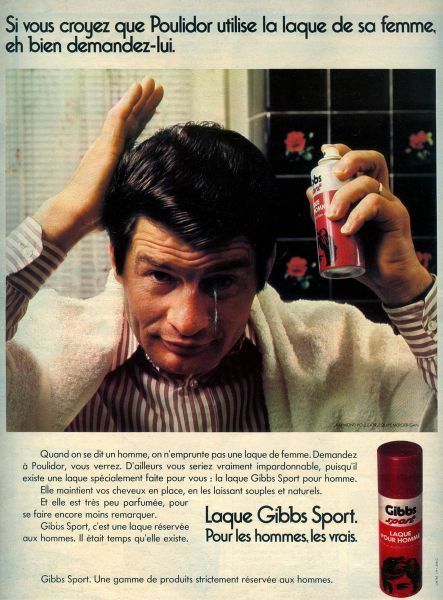 My word, that Poulidor had quite the head of hair! This caught My attention -as an addict. Silly. If this were not here on Inner ring, I may not have known… and no I’ll not be getting My fix like that. Did anyone see the Bathe & Brew shower head incorporating a coffee maker over at the Free Form/Chaos thread? Every cyclist knows that the only proper place for caffeine is in an espresso drunk to boost the watt output.